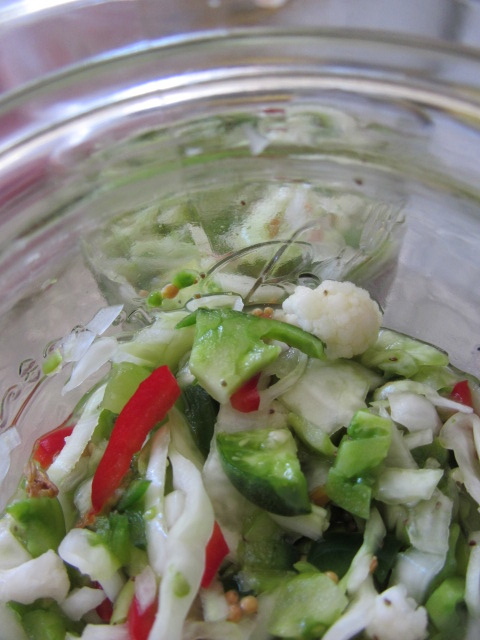 I was just reading about chow chow (which I’d never heard of before) in the Joy of Pickling! Super interesting. Now I know what to make when I get stuck with green tomatoes. I am on the verge of a serious green tomato situation, so this is a welcome idea, and fermented to boot! I can’t wait to try it.